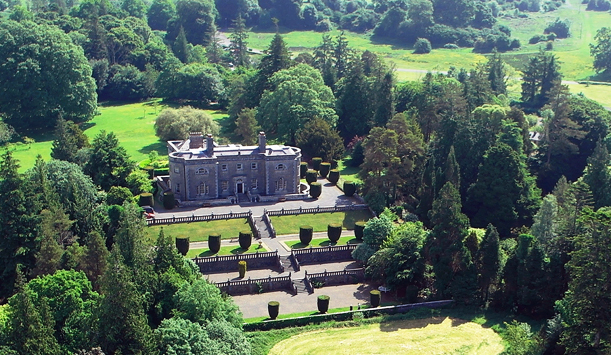 Belvedere House, a vast Georgian pile in the heart of Westmeath, likes to keep things interesting: there are bat walks, festivals, dog shows and even a magical Narnia event at Christmas. But it’s the story behind this big country house that really adds an extra layer of allure to this lakeside retreat. Belvedere was once home to Earl Robert Rochfort, who locked up his glamorous wife Mary Molesworth for 31 years after charging her with committing adultery with his own brother, Arthur. And the unhappy family stories didn’t stop there. Relations between the Earl and his other brother George (who never approved of Mary) also deteriorated over the years. The result? The Earl built what is called the “Jealous Wall” to obscure George’s bigger house. The vast folly is still there today – a symbol of illicit love and hate. 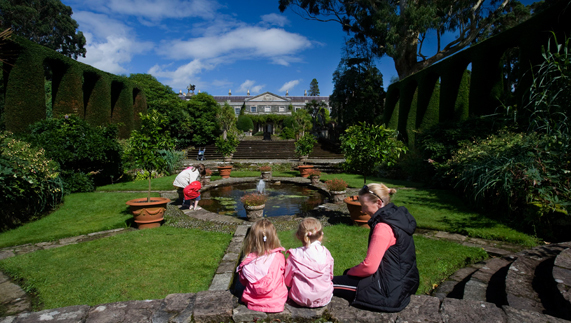 While many country houses are famous for their architecture, at Mount Stewart, it’s the gardens that are the real draw. Here, you’ll find a floral paradise created from the imagination, experimentation and artistry of Edith, Lady Londonderry. A colourful character in her own right, Lady Londonderry was a noted socialite who was appointed Colonel-in-Chief of the Women’s Volunteer Reserve after the outbreak of WWI, and helped to organise the Officers’ Hospital in Londonderry House. Yet Edith’s enduring legacy are the gardens at Mount Stewart. Here, her vision was given free reign with a unique collection of flowers, exotic plants and sculptures. 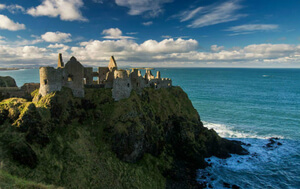 Creep down to the dungeons today, and you can still see a piece of O’Malley’s homestead. 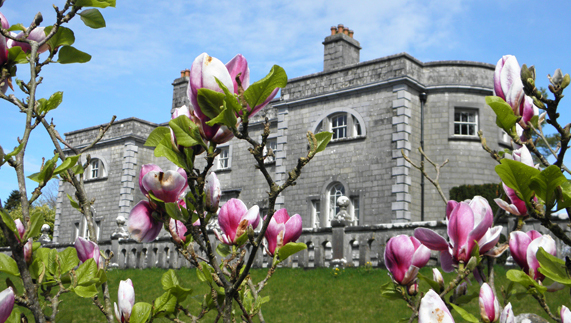 Above ground, Westport House is a family affair: built by the Browne family in the 18th century, it is still privately owned by the 11th Marquess of Sligo, a direct descendent of the infamous O’Malley. On a lighter note, there’s a pirate adventure park, 480 acres of parkland and garden, walking trails and over 30 rooms within the house open to explore. This 17th-century “plantation” property has housed 10 generations of the Conyngham family, and has been described as “one of the prettiest houses in Ulster”. And it’s certainly that – the walled garden and parkland are delightful in bloom, although you might feel the hairs stand up on the back of your neck as you wander. Olivia is the house’s resident ghost. Her lost soul is said to haunt the Blue room of Springhill. The wife of George Lenox-Conygham, Olivia lived in the house in the early 19th century and witnessed her husband committing suicide…her ghost is said to wander sadly to this day. 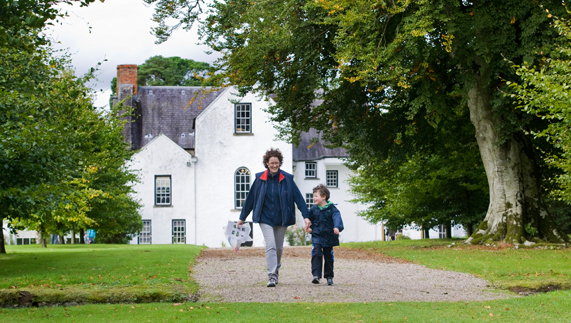 With its idyllic rural setting near the Blessington Lakes and a compelling history, Russborough is one of a kind. 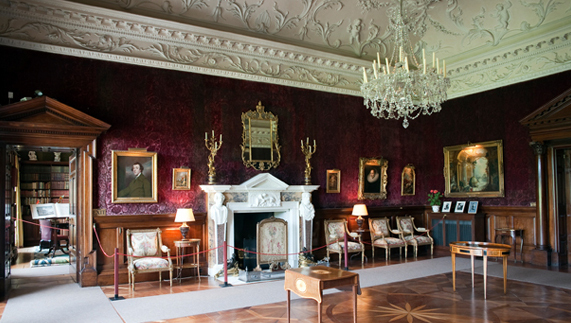 Sir Alfred and Clementine Beit – a glamorous couple and heirs to a mining fortune – bought Russborough in 1952 and proved to be this 18th-century manor’s most glamorous residents. The grand Palladian beauty of the house, the extensive gardens, impressive maze and surrounding parkland have, over the years, been the backdrop to dramatic events including robberies, a fire and an intriguing cast of characters. Entertaining everyone from Jackie Onassis to Fred Astaire, the Beits also built up an impressive art collection that included works by Vermeer and Rubens. 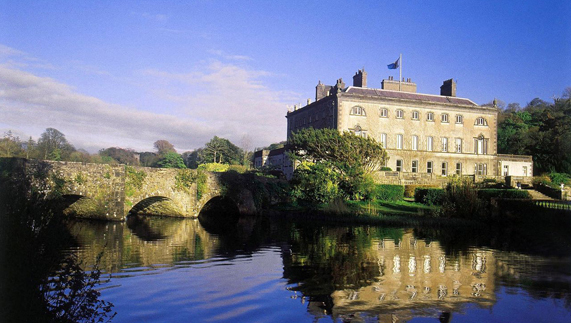 The Beits left this historic mansion to the Irish public in 1978, and its legacy has been enjoyed ever since.